On Saturday 24 February 2018 , history was made by youth who came from different parts of the country to form the longest recorded store queue for local brands in Africa. 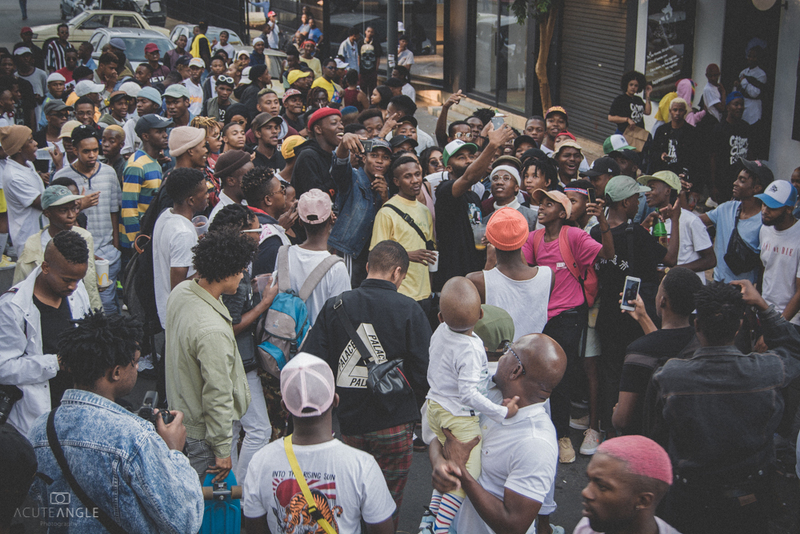 The line must have been 200 meters long, stretching from the RHTC x PLAYGROUND Store at 70 Juta street all the way down to the edge of Braamfontein at the Smith street bridge. Now RHTC x PLAYGROUND Store is a youth owned and managed establishment which stands as the only store that exclusively retails local brands, sold all of its wears from all brands including the the Cotton Club Records merchandise which was presented with the experience of meeting one of Africa’s biggest musicians, Riky Rick. stage as well as 3 workshops and an exhibition that is centred on local youth culture. Now clearly If there was ever a clear indication of the shift in the consumer and youth culture trend, it was evident with this monumental occasion that achieved more hype and support than any intentional store launch, including Kanye West’s Yeezy sneaker franchise. Play Together Win Together!